Living Stones Church Reno, Nev.
A distinct turning point in our ministry was when we planted our first campus, which led to three others. We’re now at a total of five. At that point, we were able to bring our mission more locally for some of the people who had been traveling a distance to attend church. This also forced us to send out leaders and raise up new ones at our primary location. Moving to five locations has literally changed everything we do and has dramatically changed my role in Living Stones Churches. Before, I was the planter and pastor on location, the primary leader, the counselor, etc. Now my role is more apostolic. We utilize video for preaching, and I occasionally preach live at the other locations. My main role in the church is to be a visionary, pastor and a leader to the other pastors so they can be the pastors in the local context. We measure ministry success by the making of disciples. Our mission statement is “Disciples making disciples.” What we mean by that is that we, who already are disciples of Jesus, are both growing in our own discipleship and continually making more disciples. This means we desire that our disciples grow in their walk with God, walk with one another and grow in evangelistic emphasis. It’s all about multiplication. We measure multiplication by baptisms, membership and community groups. If we grow in weekend numbers but we don’t in these other areas, we don’t consider that to be a win. Our vision also is to be “in the city, for the city.” We currently exist in five cities. If the church exists in those cities without blessing those cities (physically, culturally and spiritually) then we are not really making disciples. One of the most important things I do is that I am diligent about my schedule. Except for rare exceptions, I work only five days a week. On those five days, I work intensely, but I make sure I leave the other two days for family and for personal time. In my work days I give my primary attention to prayer and to the ministry of the Word. Two of the five days I work are almost completely devoted to prayer, study, contemplation, silence, solitude and planning. Two of my work days are devoted to meetings, and I primarily spend that meeting time working on the church, meeting with and discipling pastors and other leaders and coaching church planters. Sunday, of course, is devoted to preaching and pastoring. I know a lot of pastors work six days a week, but my contention is that I can get more done better in five days than in six. 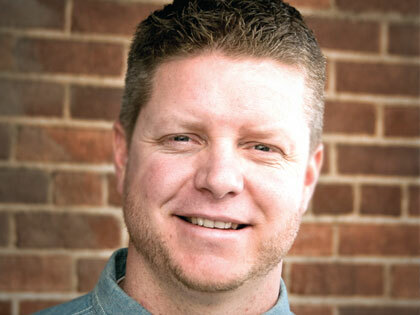 Harvey Turner is the founding at preaching pastor at Living Stones Church in Reno, Nev. He is a church planter and a member of Acts 29 and the Mars Hill Network. Find him on Twitter at @PastorHarv.